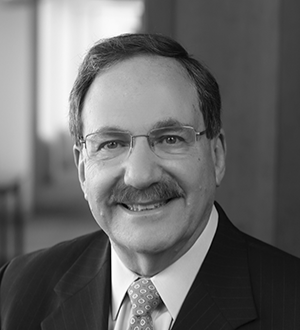 Bob is recognized as one of the country's foremost authorities on antitrust, consumer protection, and trade regulation law. He possesses unparalleled experience in counseling, litigation, and regulatory investigations in the field, and he is co-author of the definitive treatise on unfair trade practices and antitrust legal practice. A Partner in the firm's Litigation Department and Co-chair of the firm's Antitrust and Consumer Protection Practice Group, Bob's experience includes class actions and representing clients in both federal and state courts and before the Federal Trade Commission, the Antitrust Division of the U. S. Department of Justice (DOJ), and offices of state attorneys general and state consumer protection agencies throughout the US. The Medal of Excellence from the University of Connecticut Law School Alumni Association, the 11th recipient in 40 years. A Distinguished Legal Writing Award from the Burton Awards, granted to 35 authors from more than 1,000 submitting firms. A Marvin Award from the National Association of Attorneys General (NAAG). An outstanding service award from the Connecticut Department of Consumer Protection. Prior to joining Wiggin and Dana in 1994, Bob participated in more than 20 cases in the Connecticut Supreme Court and the Connecticut Appellate Court, including the first decisions under both the Connecticut Antitrust Act (in a 1975 case) and the Connecticut Unfair Trade Practices Act (CUTPA) in a 1981 case. He has also assisted in drafting amendments for both statutes. Additionally, Bob has participated in numerous cases in the U.S. Supreme Court, including Leegin v. PSKS (2007), which overturned century-old precedent related to vertical price fixing, and Hartford Fire v. California (1993), a defeat against foreign reinsurers conspiring to harm U.S. consumers. In September 2005, at the behest of a Congressional commission, Bob was one of three participants to testify on the subject of the state action immunity doctrine. From 1990 to 1992, Bob served as Chair of the NAAG Multistate Antitrust Task Force. NAAG established the now commonplace model of multistate attorney general cooperation in consumer protection. That model was born with Bob's and others' work in the 1970s to forge a landmark agreement with General Motors for secretly installing Chevrolet engines in Oldsmobiles. Bob has participated in numerous pro bono initiatives, including the Fair Factories Clearinghouse (FFC), which, after Bob helped FFC obtain a successful Business Review Letter from the Antitrust Division of the DOJ, now shares documented data about wages and working conditions in foreign manufacturing settings, and shares Advisory Opinions from the Federal Trade Commission to enable healthcare nonprofits to pass savings on to their employees and others. As a Cooper Fellow, he helped launch a program to capture the oral histories of pioneering women in the law in Connecticut. Bob lectures and writes regularly on antitrust, consumer protection, and healthcare topics. Bob is the co-author of Unfair Trade Practices, Business Torts and Antitrust, a treatise for Connecticut judges, lawyers, and academicians. His op-ed articles have appeared in The New York Times and The Hartford Courant. Since 1979, Bob has taught at the University of Connecticut School of Business Administration's MBA Program and the University of Connecticut School of Law. Bob obtained his J.D. from the University of Connecticut School of Law and his A.B. from Franklin & Marshall College. Bob was admitted to practice in 1973. Franklin and Marshall College, A.B.